I’m getting lots of opportunities to speak at events and workshops lately. Love it! 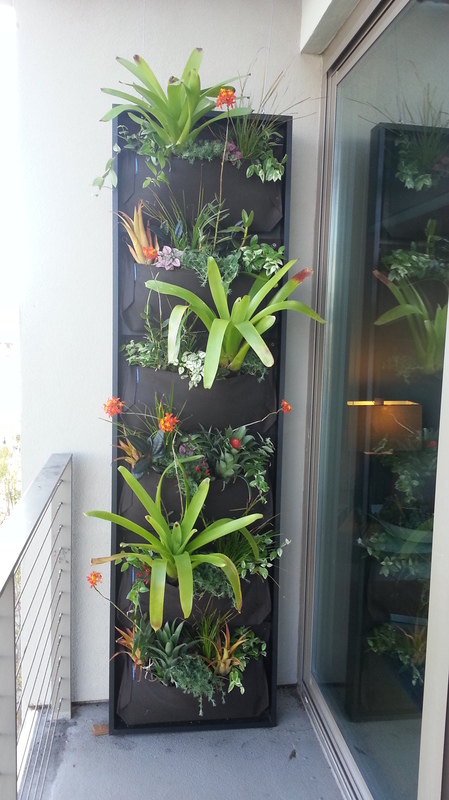 Tonight I’ll be putting my varied vertical gardening expertise to use as I do a presentation and demonstration at the monthly meeting of the Bromeliad Society of San Francisco. I’ll have a lovely slideshow highlighting a wide variety of vertical gardening methods that are accessible to all of us as DIY projects, and then will plant up an example on the spot. I’ll offer tips and options for bromeliads as well as how to integrate other tropical and non-tropical plants into a vertical element. It should be a fun evening! This panel faces east, and will get the morning sun. The Society welcomes guests at their meetings, and if you are a bromeliad fan and want to join up and attend regularly, their annual dues are less than a cheap dinner out. Tonight’s meeting is in their usual spot – the SF County Fair Building in Golden Gate Park, just inside the park at 9th Avenue and Lincoln, where you enter the Botanical Garden. (Map here.) The meeting sets up at 7pm and is called to order at 7:30. It runs until 9:30. Come join the fun if you’re interested! Check out the Bromeliad Society’s Facebook page for more info on this and future events. This entry was posted in boZannical Portfolio, Garden Events, Speaking Engagements, Vertical Gardening and tagged botanical, diy, flora grubb gardens, horticultural, plants, san francisco, shoutouts, succulents, urban, vertical gardens, woolly pockets. Bookmark the permalink. Bromeliad? Sounds like something you take for indigestion. On the serious side: I think you will do an excellent job! You really know what you are talking about. Ha! ☺ And thanks! Looking forward to it.